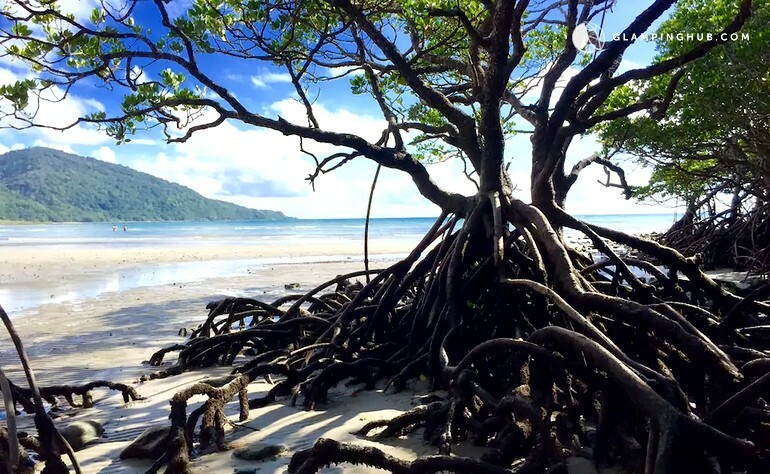 The wilderness has a rugged charm, but let’s face it, we’re not all campers. 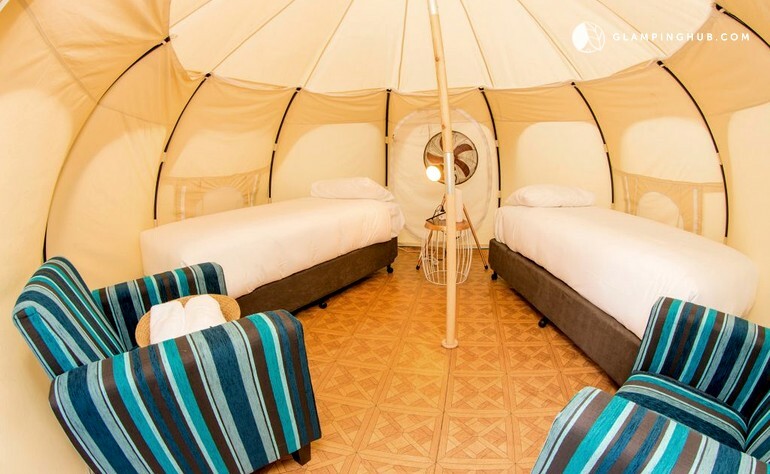 For families who aren’t into sleeping bags and drop toilets, glamping is the happy medium. The best part? 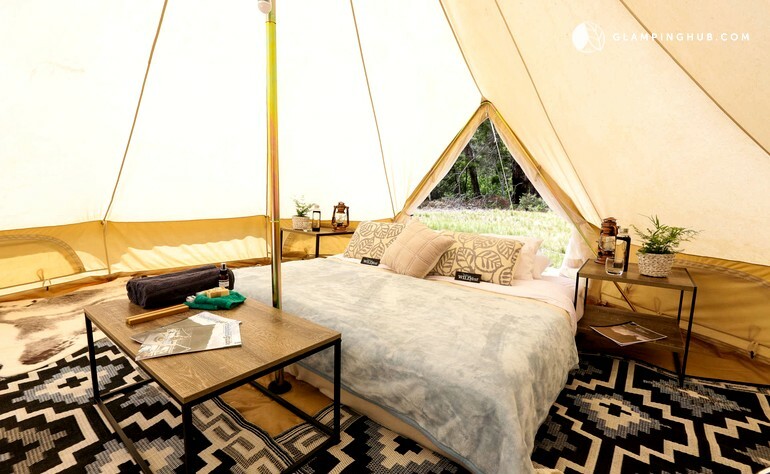 The tent it put up for you. 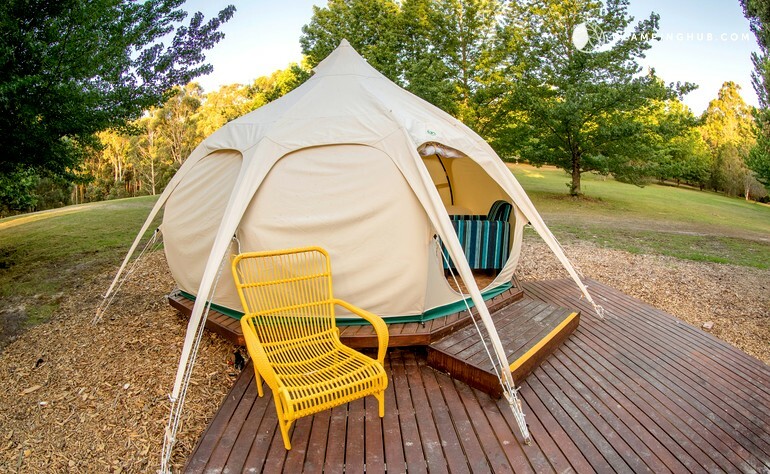 Here are six awesome family glamping spots around Australia to inspire your next outdoorsy adventure. 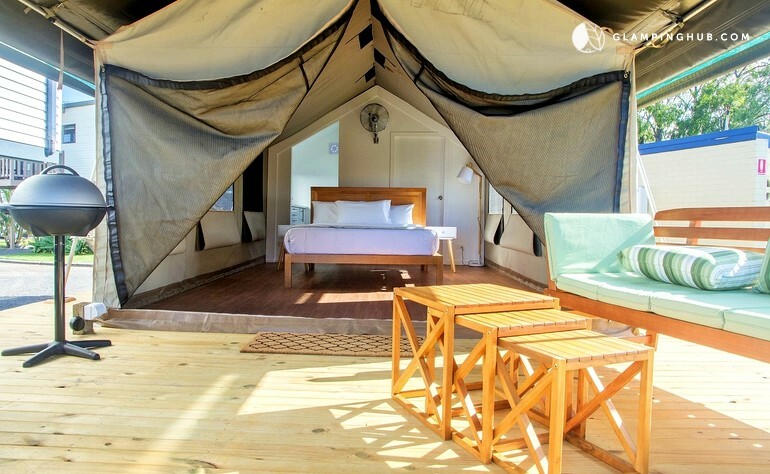 You certainly won’t feel like you’re roughing it in these luxury safari tents. 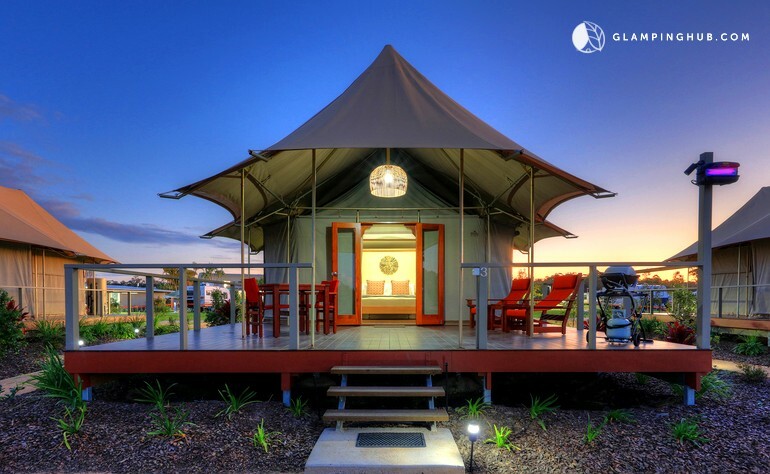 Just north of Brisbane, the park has twelve tents of varying sizes so it’s great for multi-family or multi-gen trips. Kids (and kids-at-heart) can hang out at the swimming pool & water slide, bouncing pillow and bicycle track. 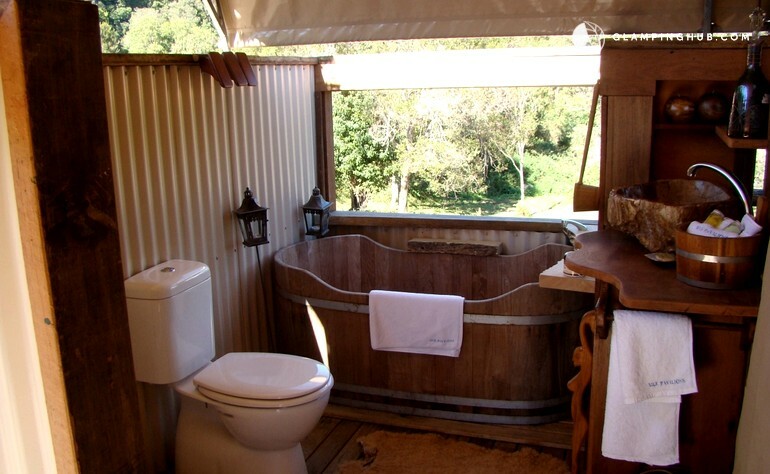 Features: Riverside location, fire pit, WiFi, king-sized bed. 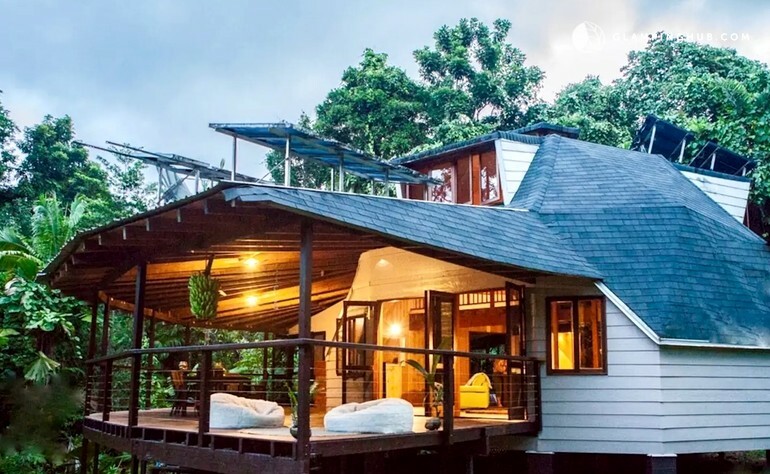 This unique dome cabin in the rainforest puts the glamour in glamping. 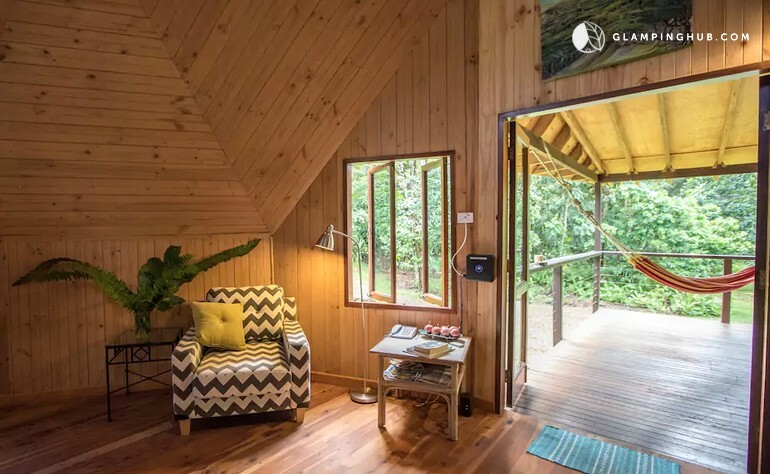 The spacious two-bedroom abode sits in the heart of the Daintree Rainforest and has plenty of spots to watch the world go by. 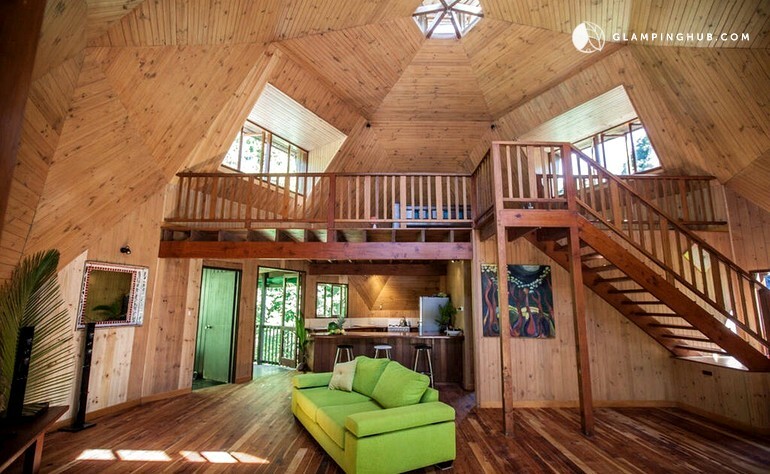 The wrap-around deck, large windows and huge lawns space will make you feel truly immersed in nature. 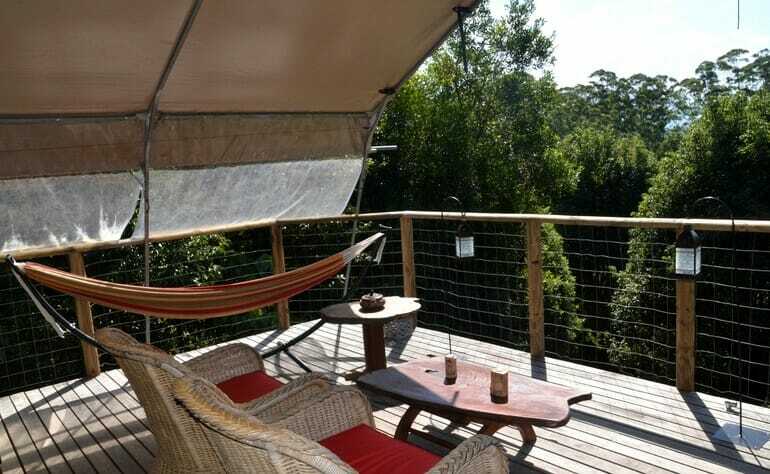 Features: Hammock, outdoor deck, BBQ, full kitchen, WiFi. 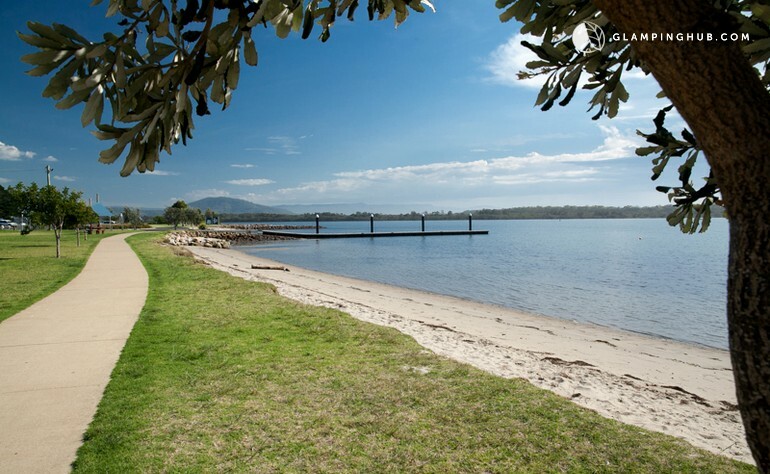 This award-winning accommodation experience is perfect for small families looking for a weekend escape from the city. 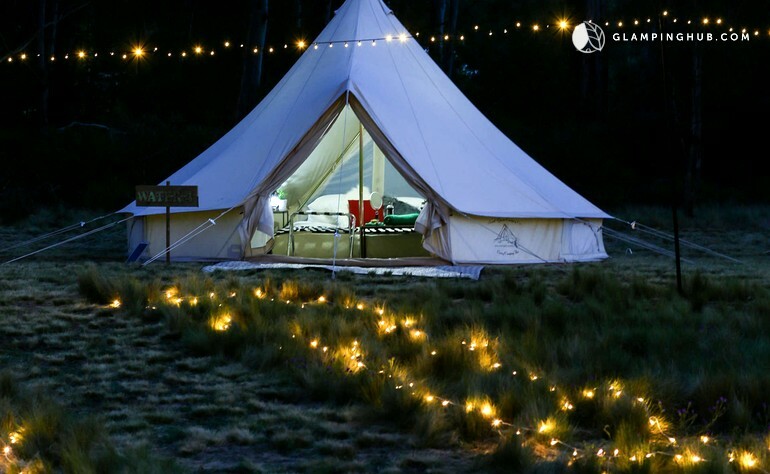 An hour from Melbourne CBD, the canvas bell tents comfortably accommodate up to four guests with one king size bed and two king singles. 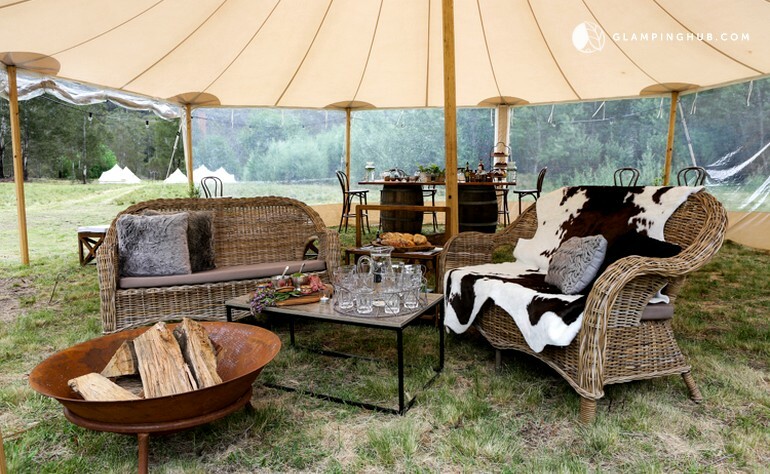 Tents are equipped with a bar fridge, kettle, cutlery, and crockery. 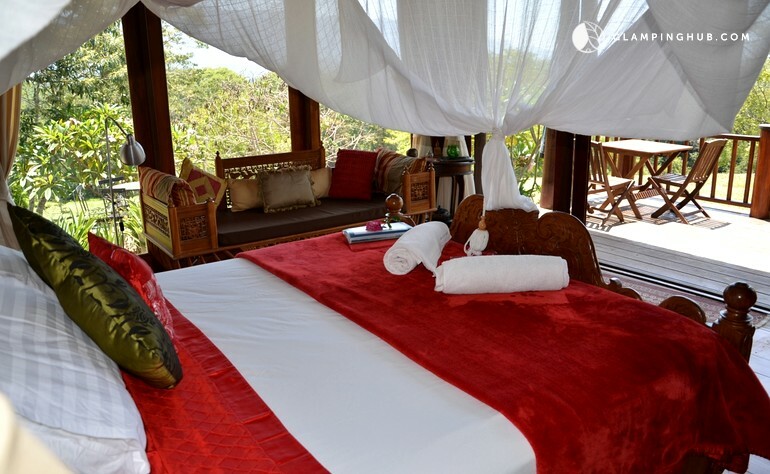 Features: Fire pit, BBQ, shared pool, spa, playground and jumping pillow. 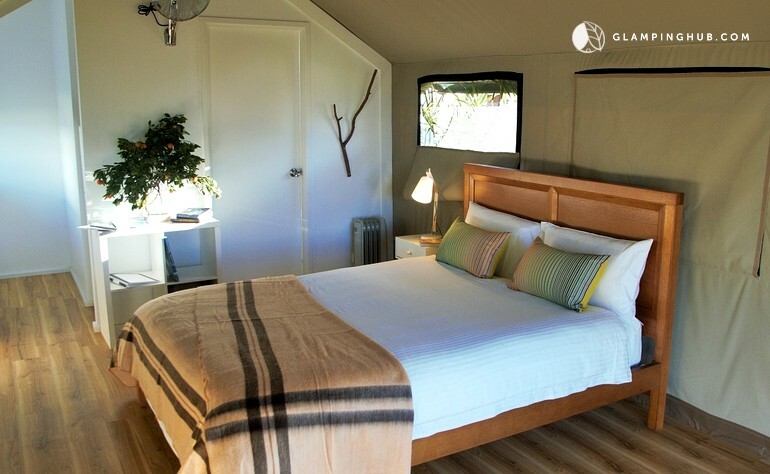 Set amongst 100 acres of tranquil bushland, glampers have two tents to choose from. 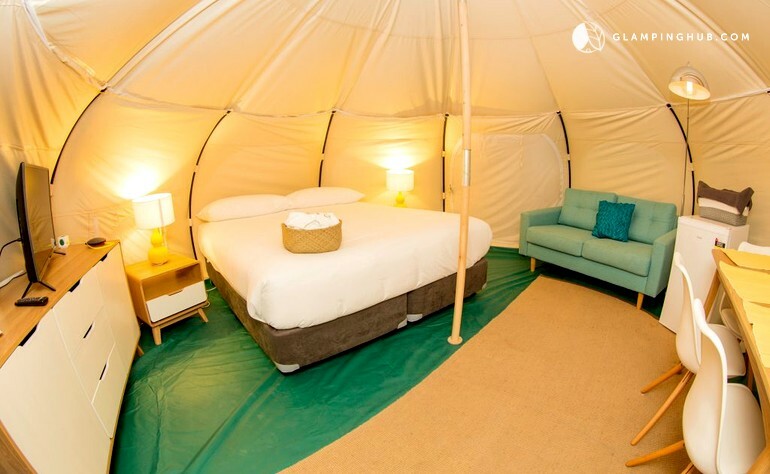 The Thai Pavillion is slightly more glamorous but the Eco-Tent better caters for kids. 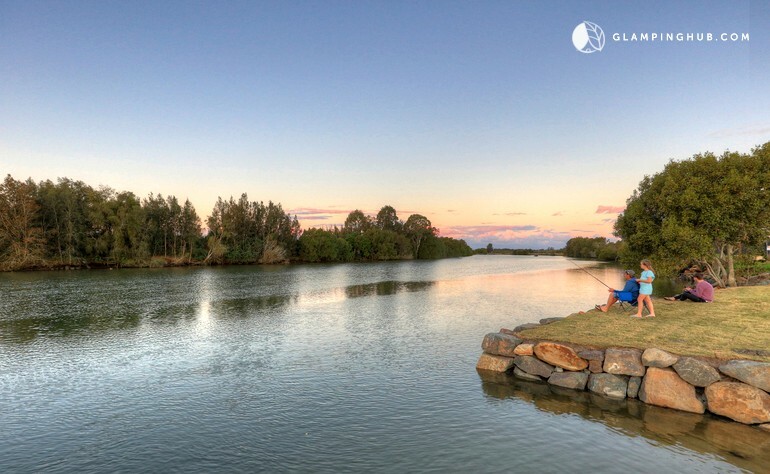 Families can spend their days exploring the Tweed Valley, discovering hidden swimming holes and waterfalls. Mount Burrell, New South Wales . 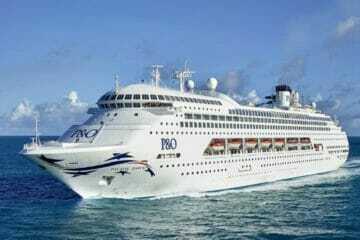 Features: Fire pit, bathtub, full bathroom and kitchen facilities, BBQ, breakfast included, & child-minding services. 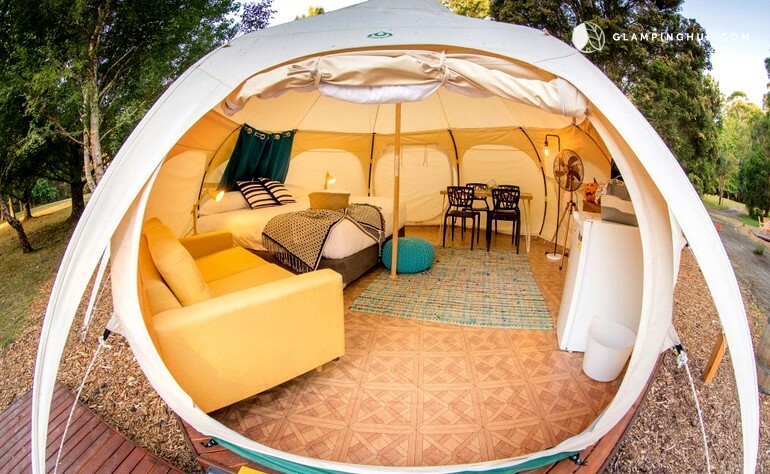 Accommodating up to four guests, these stylish tents are fantastic for foodie families. The on-site cafe and restaurant use only the best local produce and cate to all dietary requirements and tastes. 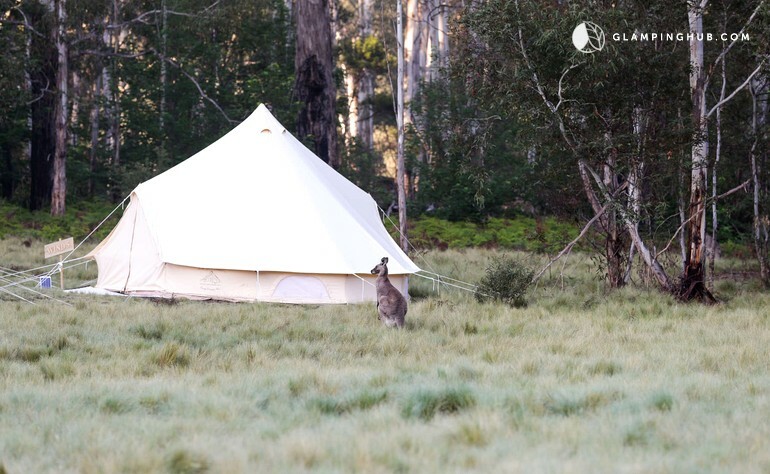 Glampers can kick back on the lawn for some kangaroo spotting or head out for a walk on one of the many bush trails that wind through the Kangaroo Valley wilderness. 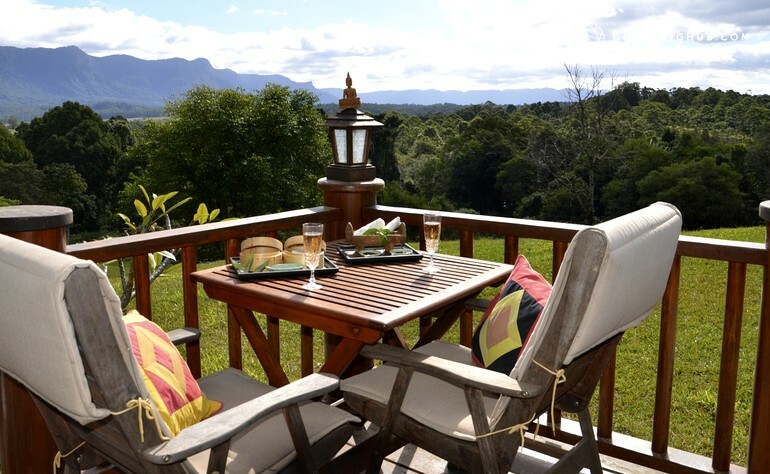 Features: Breakfast included, on-site cafe, shared fire pit and dining room with pool table. 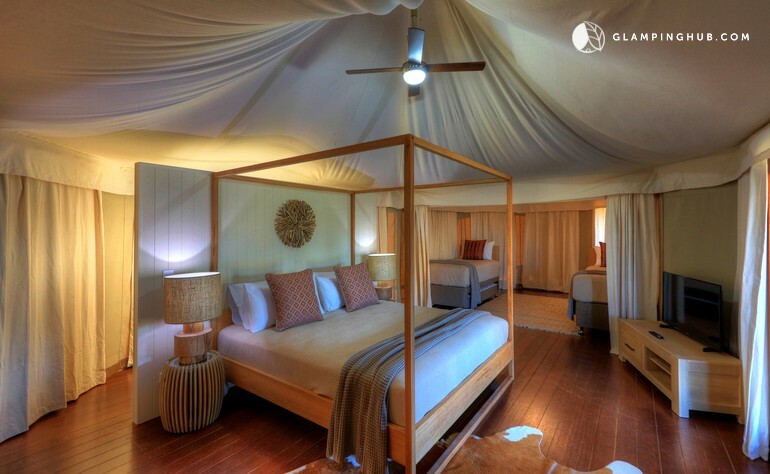 These African-style safari tents have been designed with the luxuries of hotel accommodation with the escapism of camping. Parents can stretch on on the queen size bed while up to two kids snooze on the bunk beds. 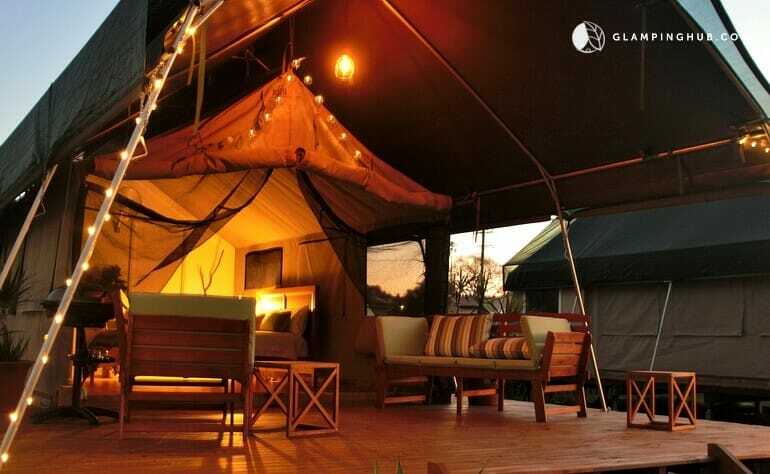 Cots for young glampers are available upon request. 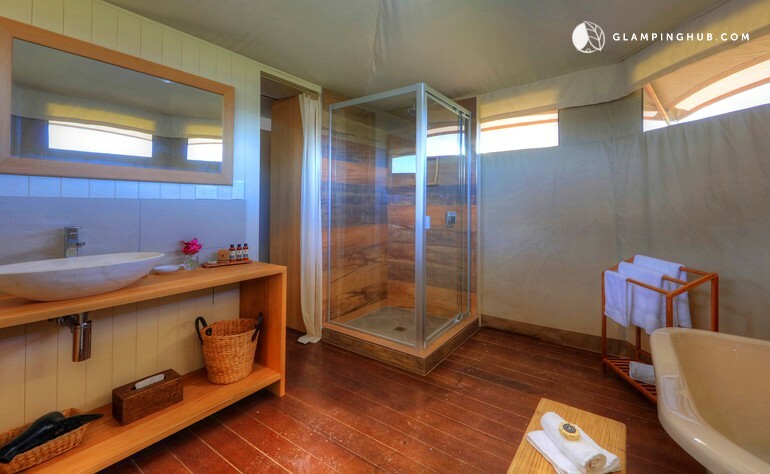 Features: BBQ, private bathroom, WiFi, shared fire pit and pet-friendly facilities.